The trailer doesn't give much away but there's enough evidence to suggest we have another worthy addition to the horror genre. Guest is a Korean horror movie helmed by first time director, Kim Gwang-Tae. The film opens back home in July. 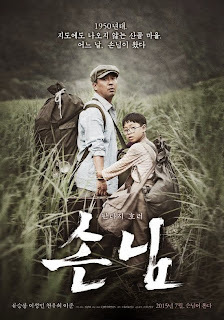 Synopsis: After the Korean War, a father (Ryoo Seung-Ryong) and his son arrive at a remote village in the mountain. They stay there. Bizarre and mysterious instances takes place among the visitors and residents, including the village leader (Lee Sung-Min).